Today this page of PJH has covered GK Questions 17th October 2017 that will going to help students as well as seniors who have the habit to get updated. So this page will satisfy all types of visitors. 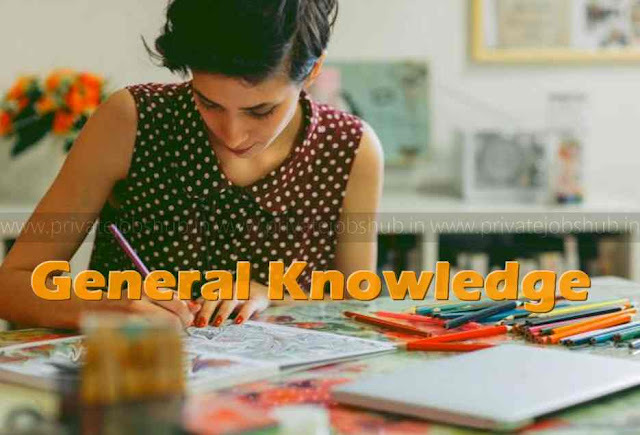 Reading daily GK Questions is very good habit as it helps students to get qualified in upcoming exam as well as it is beneficial for the individual who want to make their IQ level strong. You must read daily GK quiz as daily updates are covered. Prime objective of this web page is to spread the awareness of the General Knowledge and daily current affairs to every person. As we know that, day by day competition level is also increasing and being updated to that level is difficult, but no need to worry about that because our team of www.privatejobshub.in is busy in collecting information and provide daily questions and other updates in one single page. So, now your search for daily General Knowledge question is over. The contenders are advised to go through the whole page, as it will going to help you a lot as it covers Latest News, latest Quizzes, GK Questions and more. INS Kiltan commissioned into Indian Navy in Visakhapatnam. 16 October: World Food Day. October 15: International Day of Rural Women. TM Krishna wins 2015-16 Indira Gandhi Award, for National Integration. Need to balance national interest, human rights on Rohingya refugees: SC. World’s largest combustion research centre inaugurated at IIT Madras. Audrey Azoulay elected as Director General of UNESCO. Question 1: To which country India’s High Commissioner to Pakistan,Mr. Gautam H. Bambawale was appointed as next ambassador? On 12th October 2017, India’s High Commissioner to Pakistan, Gautam H. Bambawale was appointed as next ambassador to People’s Republic of China. Gautam H. Bambawale is an Indian Foreign Service Officer (IFS) of batch 1984. He is presently the High Commissioner of India to the Islamic Republic of Pakistan. Question 2: Which Indian domestic airline has appointed its new Chief Executive Officer Leslie Thng who takes charge in the month October, 2017? On October 11th 2017, Tata-SIA joint venture airline named Vistara pads up for the launch of international operations 2018, announced the appointment of its new Chief Executive Officer Leslie Thng who takes charge in the month October, 2017. The former CEO Phee Teik Yeoh will return to Singapore International Airlines. Question 3: What are the two Indian Naval Ships visiting Sasebo to participate in PASSEX with Japan from 12th to 15th October 2017? Indian Naval Ships Satpura and Kadmatt are visiting Sasebo, Japan from 12th to 15th October 2017. The visit of these ships is in line with India’s Act East Policy and reiterating of India’s commitment to peace and stability in the Indo-Pacific Region. Question 4: On 12th October 2017, two experimental vaccines against the ___________ virus proved safe and efficient in human trial. On 12th October 2017, two experimental vaccines against the Ebola virus proved safe and efficient to produce an immune response that would last for at least one year, through a clinical trial in Liberia. Question 5: Name the mobile health App the Indian Air Force (IAF) launched on the occasion of its 85th anniversary. On 12th October 2017, the Indian Air Force (IAF) launched an innovative mobile health App named ‘MedWatch’ on the occasion of its 85th anniversary. The concept and content of the App were developed by the Directorate General of Medical Services (Air). It was developed in-house without any financial support by the Directorate of Information Technology (DIT). MedWatch’ is available on the IAF’s AFCEL (Air Force Cellular) network. Question 6: Esther Staubli is set to become the first female football referee to officiate a match at the FIFA U-17 World Cup. Which country she belongs to? Switzerland’s Esther Staubli is set to become the first female football referee to officiate a match at the FIFA U-17 World Cup when Japan takes on New Caledonia in the final round group E match on October 14, 2017 at Salt Lake Stadium in Kolkata. Question 7: On Oct.13 2017, International Cricket Council approved to conduct Test championship and one-day international league.Who is the CEO of International Cricket Council (ICC)? David Richardson is the CEO of ICC. Question 8: Which committee was appointment to recommend new salary structure for judges of lower courts in India? Question 9: First Meeting of the Economic Advisory Council to Prime Minister Narendra Modi (EAC-PM) held in New Delhi about was chaired by whom? Question 10: International Monetary Fund (IMF) has lowered India’s growth forecast from its earlier estimate of 7.2% to ______% . International Monetary Fund (IMF) has lowered India’s growth forecast for 2017 to 6.7% from its earlier estimate of 7.2%. In the latest edition of World Economic Outlook report, IMF has cited lingering impact of demonetization and teething problems related to implementation of Goods & Services Tax (GST) as main reasons for the downward revision of Indian economy’s growth forecast. Question 11: What is the slogan of International Day for Disaster Reduction 2017? On 13th October 2017, International Day for Disaster Reduction was observed all over the world. Home Safe Home: Reducing Exposure, Reducing Displacement’ is the slogan for International Day for Disaster Reduction 2017. The 2017 campaign aims to raise global awareness about effective actions, policies and practices taken to reduce exposure to disaster risk at the community level, to save homes and livelihoods. Question 12: Which Indian public sector oil company becomes first Indian oil company to trade lubricants in Myanmar? Hindustan Petroleum Corporation Ltd (HPCL), a public sector oil company has started selling lubricants in Myanmar. With this move, HPCL has become first oil company of India to start marketing lubricants in Myanmar. Question 13: M K Sanu has been chosen for which of the following award for the year 2016 on On 12th October 2017? On 12th October 2017, Mathrubhumi Managing Director M P Veerendra Kumar announced that, famous critic, biographer and orator M K Sanu has been chosen for the Mathrubhumi Literary Award for 2016. Question 14: Name the state cabinet has approved reservations for persons with disabilities in government jobs and educational institutions. On Oct 11th 2017, The Bihar state cabinet has approved reservations for persons with disabilities in government jobs and educational institutions.The approval was given during a meeting presided by Chief Minister Nitish Kumar and the Cabinet Secretariat Department Special Secretary Upendra Nath Pandey. Question 15: Which city is to host an international Puppet festival named ‘PUN (Puppets Unite Neighbours) International Puppet Festival’? On 26th – 31st October 2017, Kolkata is to host an international Puppet festival named ‘PUN (Puppets Unite Neighbours) International Puppet Festival’ at Mohorkunj, Kolkata. West Bengal principal secretary Tourism and Home Affairs Atri Bhattacharya would inaugurate the International puppet festival. The festival will be conducted for 6 days. Question 16: To honor which National freedom fighter government committee has been formed to coordinate year-long celebrations of 150th birth anniversary? On 12th October 2017, the Ministry of Culture announced that, a government committee has been formed to coordinate year-long celebrations of Mahatma Gandhi’s 150th birth anniversary from 2nd October, 2019. Question 17: Who has launched Sampoorna Bima Gram (SBG) Yojana and an initiative for expansion of clientele base of Postal Life Insurance (PLI)? On 13th October 2017, the Minister for Communications Manoj Sinha launched the Sampoorna Bima Gram (SBG) Yojana and an initiative for expansion of clientele base of Postal Life Insurance (PLI). Question 18: Which union minister has inaugurated the 44th edition of Indian Handicrafts and Gift Fair (IHGF) 2017 in Greater Noida, Uttar Pradesh? On October 12, 2017, Union Textiles Minister Smriti Irani inaugurated the 44th edition of Indian Handicrafts and Gift Fair (IHGF) 2017 at India Expo Centre and Mart in Greater Noida, Uttar Pradesh. Question 19: Where did Dilli seminar on India & Southeast Asia maritime trade begin? The annual Dilli seminar on ‘India and Southeast Asia – Maritime Trade, Expedition and Civilisation Linkages’ began on October 13, 2017 at the Indian Naval Academy (INA) in Kerala. Question 20: Japan’s capital Tokyo has topped Economist Intelligence Unit’s Safe Cities Index 2017 of 60 cities. Indian cities Delhi and Mumbai have ranked _____ and _____. Japan’s capital Tokyo has topped Economist Intelligence Unit’s Safe Cities Index 2017 of 60 cities. Indian cities Delhi and Mumbai have ranked 43rd and 45th respectively. Safe Cities Index is a report by London-headquartered Economist Intelligence Unit owned by ‘The Economist Group’. Question 21: Where was G-20 Finance Ministers and Central Bank Governors (FMCBG) Meeting held? On 13th October 2017, the G-20 Finance Ministers and Central Bank Governors (FMCBG) Meeting was held in Washington D.C., US. The Union Minister for Finance and Corporate Affairs, Arun Jaitley participated in the G-20 Finance Ministers and Central Bank Governors (FMCBG) Meeting. Question 22: Which two countries have announced to quit from the UN’s cultural agency UNESCO, after US accused UNESCO of “anti-Israeli bias”? On 12th October 2017, the US and Israel announced that, they quit from the UN’s cultural agency UNESCO, after US accused UNESCO of “anti-Israeli bias”. Question 23: Which of the following norms to Keep E-Wallets Safe? Through its latest set of guidelines for E-Wallets, Reserve Bank of India (RBI) has introduced strict know your customer (KYC) norms which has evoked mixed response from digital wallet companies. Question 24: Which of the following multinational electronic company’s CEO Kwon Oh-hyun has resigned recently on 13th October 2017? On 13th October 2017, Samsung Electronics Co Ltd announced that, its Vice Chairman and CEO, Oh-Hyun Kwon, had decided to step down from management. Question 25: Who has appointed as head of MobiKwik Payment Gateway? On 13th October 2017, MobiKwik, mobile wallet service and payment gateway provider, announced the appointment of Rukaiya Rangwala as the Business Head of ‘MobiKwik Payment Gateway’. All the related details of 17th October 2017 have been provided in this page which covers General Knowledge questions as well as latest current affairs. Aspirants can read the provided information as it will be going to be useful in your upcoming exams. Join us on Facebook, Whatsapp, Email or twitter to get latest and instant updates. Subscribe if for free and get daily updates direct tour inbox.